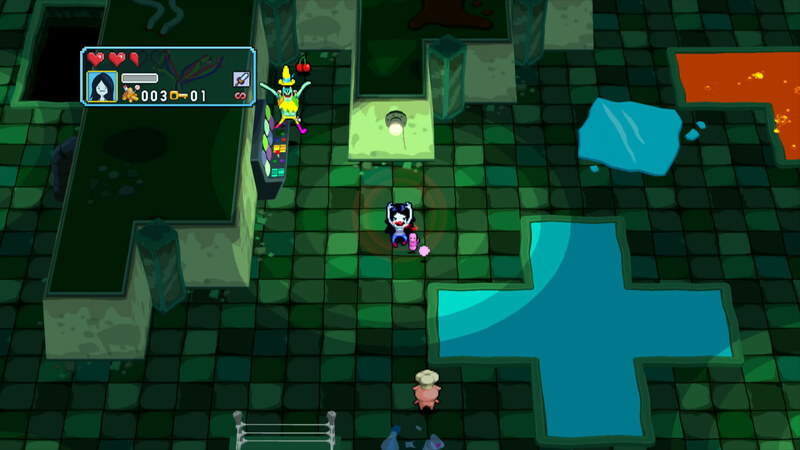 Tagged "Adventure Time: Explore the Dungeon Because I Don’t Know"
Praise be for digital downloads – if it wasn’t for the likes of Peggle 2 and Doki-Doki Universe we’d only have two retail release to talk about this week. Those two heading to retailers? Wii Fit U and the belated Wii U version of Adventure Time: Explore the Dungeon Because I Don’t Know. We reviewed the Xbox 360 version of Adventure Time last month and found it to be rather on the smelly side. Taking inspiration from the arcade classic Gauntlet, it’s a dull and tedious dungeon crawler with very little going for it. It’s surprisingly tough for something aimed at younger gamers too, featuring rooms filled with projectile-spewing enemies that can drain a health bar in a heartbeat. We really didn’t have much fun with it. Next week sees the release of the 3DS version, which fans should also cross off their Christmas list. Destructoid and Nintendo World Report claimed in their reviews that it suffers from slowdown, amid a long list of other faults. They both gave it a miserable 2/10. 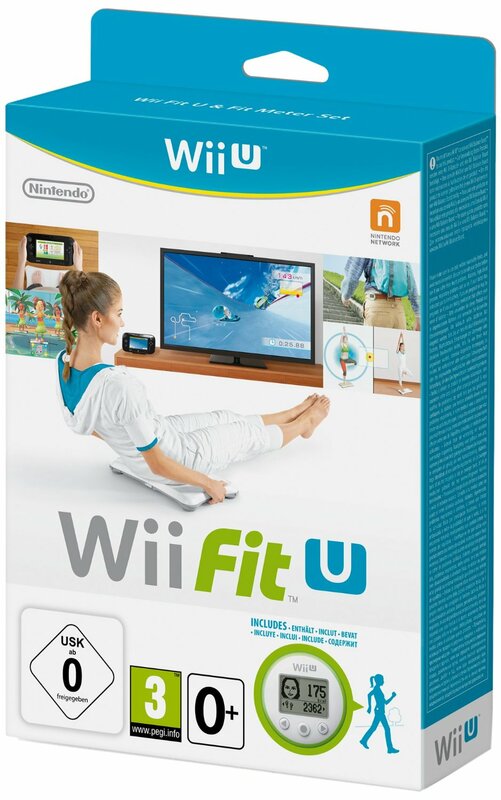 Available with or without the balance board, Wii Fit U should please those who found the original proficient at burning off the blubber. It must be said that playing mini-games is a much more appealing way to get fit than prancing about while watching some workout DVD presented by a D-list celebrity. “While the exercises it offers still aren’t intensive enough to replace traditional exercise, it’s nevertheless an entertaining way for players of all fitness levels and ages to be more active and conscious of the importance of keeping fit,” said Nintendo Life in their 8/10 review. God is a Geek gave it the same score, saying that “Wii Fit U is an excellent package designed to get friends and family playing games while getting fitter”. It’s a busier week for new releases on the various Nintendo eShops, with The Legend of Zelda: A Link to the Past making an unexpected arrival on the Wii U Virtual Console. For £5.49, you’d be a fool not to. There’s also RUSH, the third and final part of the Two Tribes classics series. 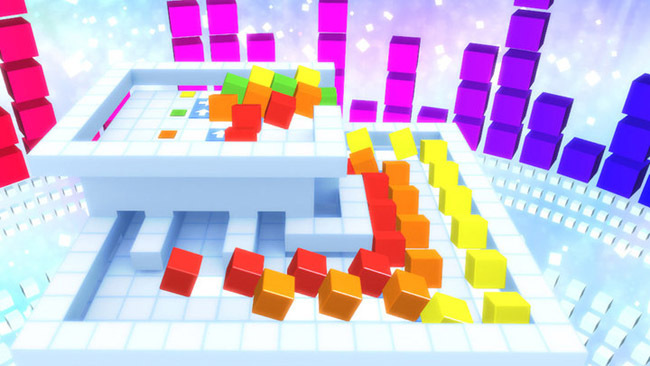 The colourful cube-based 3D puzzler will set you back just £1.79 until the 9th of January. After that it’ll hike in price to £3.59. Sega’s Mega Drive makeovers continue to appear the 3DS eShop with 3D Galaxy Force II and 3D Ecco the Dolphin out now for £4.49 each. They’re joined by Cocoto Alien Brick Breaker, which appears to be a Breakout clone. And at £17.99 it’s a very expensive one at that. Donkey Kong 3 is the only 3DS VC release this week, although fans of all things retro may be interested in the Nano Assault EX demo that’ll be available from Thursday. We feel safe in saying that there’s no other cartoon series currently more deserving of a videogame tie-in than Adventure Time. 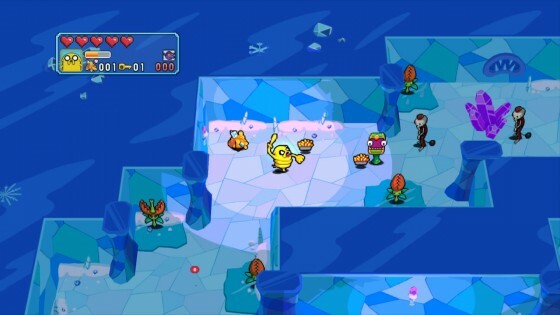 WayForward showed us late last year that they have a fondness for Finn and Jake with the US-only ‘Hey Ice King, Why Did You Steal Our Garbage? 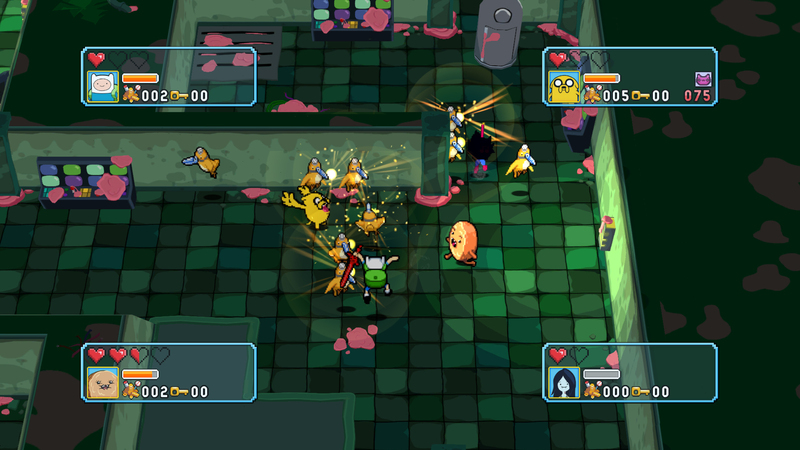 !’ while show creator Pendleton Ward is clearly an avid gamer with nods and winks to various videogames rife in the cartoons. What should be a match made in heaven though has clearly been hindered by budget, not to mention a seemingly short development period that has resulted in a lack of ambition. Princess Bubblegum has summoned Finn and Jake for a quest to discover why the prisoners in her dungeon have started to run amok. The show’s stars are soon joined by Cinnamon Bun and Marceline the Vampire Queen to form the initial four playable characters, with another four added to the roster as the story progresses. Stats for each character vary slightly, while Marceline and Jake both have the advantage of being able to travel over bottomless pits and pools of water. What we’ve got here is a 100 floor dungeon crawler, which in concept alone is perfectly fine. These aren’t intelligently designed Zelda-style dungeons filled with puzzles though, despite WayForward having a crack at such a thing with their first Adventure Time game. Instead, they’re randomly generated with Atari’s arcade classic Gauntlet providing the bulk of the inspiration – right down to having to destroy piles of bones that constantly respawn enemies. Dungeons change theme every 20 floors, with each having an exit to find as well as the occasional pursuit to locate keys that unlock doors to new areas and rooms filled with treasure. Due to being randomly generated sometimes you’ll get lucky and start just a few feet away from the exit, while other times – and more often than not usually the case – you’ll simply find yourself casually wandering down dull corridors and performing U-turns in the irritatingly frequent dead ends. Descend further into the dungeon and the labyrinth-like levels increase in size, thus becoming even easier to get lost in. Enemies also grow greater in number, with those able to spew projectiles in all directions becoming more frequent. Although it is possible to block and absorb said projectiles, the blocking system is so sluggish and unreliable that we found ourselves simply skirting around them. New kid on the block LEGO Marvel Super Heroes builds on Lego Batman 2: DC Super Heroes in every single way, critics claim. We have no reason not to believe them – reviews went live as way back as 22nd October, including a 9.0 from IGN and 9/10 from Eurogamer. It speaks volumes that Warner Bros. sent out review copies as early as they did. It’s out on Xbox 360, PS3, PC and Wii U this week, with the PS4 version due at launch and the Xbox One version due in the not too distant future. It was delayed earlier this week for reasons unknown. 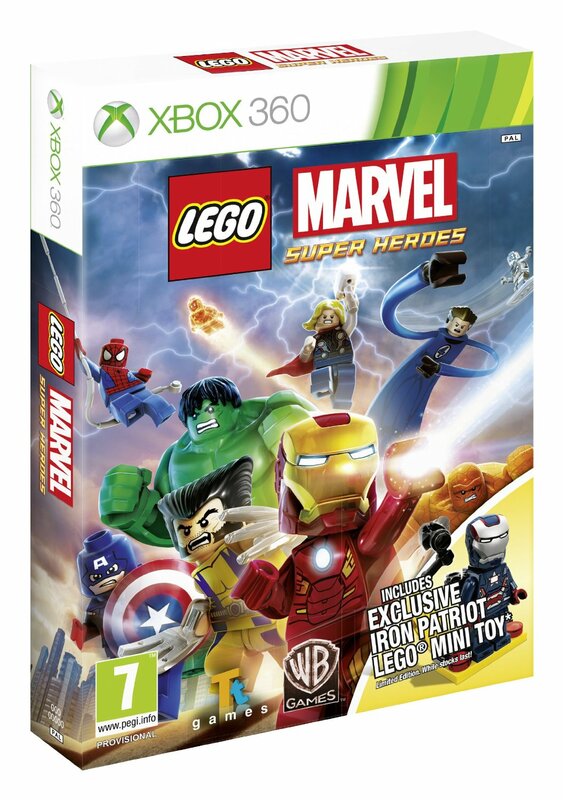 Amazon, amongst others we believe, have a limited edition pack containing an exclusive mini-figure. The handheld iterations – subtitled Universe in Peril – are also arriving on DS, 3DS and PS Vita this Friday. We can’t find any reviews of them online yet, so approach with caution. Previous handheld LEGO games in the past have varied in quality. Oddly, there are couple next-gen games launching this week – Call of Duty: Ghosts on Xbox One and Skylanders: Swap Force on both Xbox One and PlayStation 4. Whether your local game emporium will stick them out on their shelves is another matter – we haven’t seen CoD: Ghosts on PS4 for sale yet, despite it launching the same day as other versions. 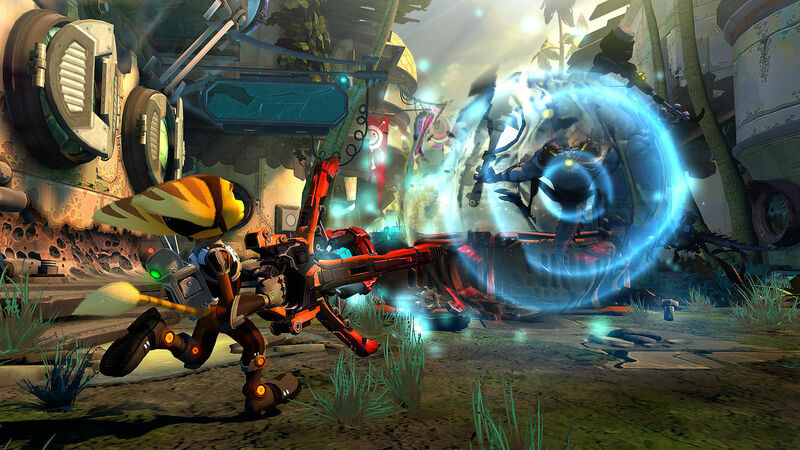 With the PlayStation 4 just two weeks away, Ratchet and Clank: Into the Nexus helps to see the PlayStation 3 off. Going back to basics, it’s very much one for the fans reported EDGE in their 5/10 review. NowGamer and Destructoid like it a lot more though, both awarding the colourful collect-a-thon an 8. 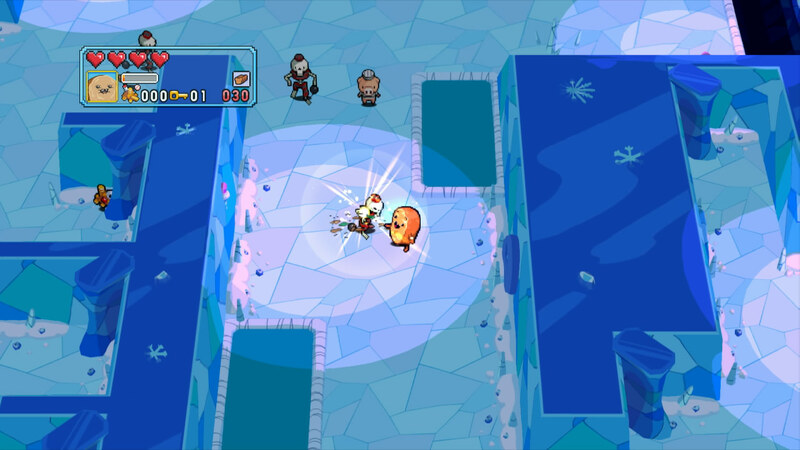 The brilliantly named Adventure Time: Explore the Dungeon Because I Don’t Know also arrives on PS3 and Xbox 360, with Wii U and 3DS versions due mid December. Why? We don’t know. It’s a top-down dungeon crawler in the style of Gauntlet, for up to four-players. In the past WayForward’s games have appealed to large audiences due to the way they always manage to blend a degree of retro charm into everything they touch. All signs point to that being the same case here. It shouldn’t set you back much more than £25 if you scout around online. XCOM Enemy Within can likewise be found for £25, with reason being that it’s not an entirely new game – it’s an expansion pack for last year’s XCOM: Enemy Unknown, offering new solider abilities, weapons types, challenges, multiplayer maps and more. It’s interesting to note that the age rating has rocketed all the way up for 12+ to 18+ so we’re guessing that there are more swears and giblets too. Review scores have been high with a fair few 9/10s handed out, such as this one from Eurogamer. 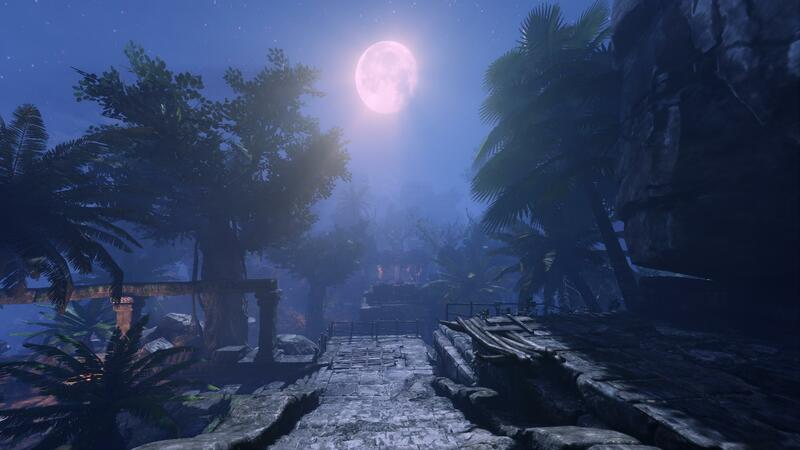 Deadfall Adventures on Xbox 360 and PC is one that we’ve given the review treatment already. It’s clunky in places, but we managed to find a sense of adventure under those low budget looks, and ultimately enjoyed its mixture of first-person shooting and puzzle solving. We gave it a not too shabby 6/10. Scores from other sites have been more than a little mixed – everything from 1/5 from Empire Online to 5/5 from Gaming Shogun. The Walking Dead Game of the Year Edition strikes us as an odd release seeing the retail collection of Telltale’s very special series was only released in May. This second collection adds the highly enjoyable 400 Days spin-off story, along with a bonus download of the soundtrack. £25 seems steep, seeing Episode One is still free on XBLA while the other episodes only cost £3.39 each.